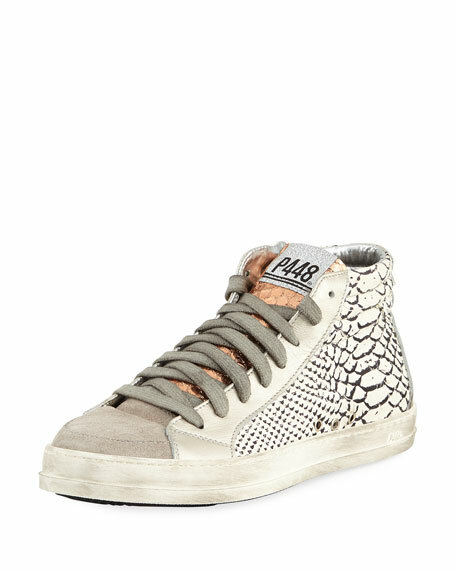 P448 high-top sneaker in python-embossed leather and suede. Padded top collar and footbed. 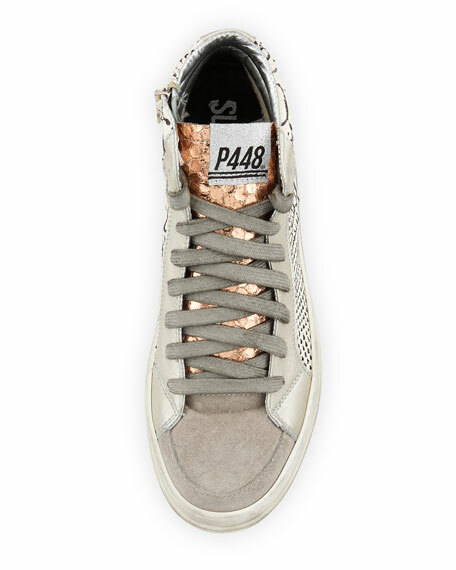 Fit note: P448 shoes run small. Please order a 1/2 size larger than you typically wear. 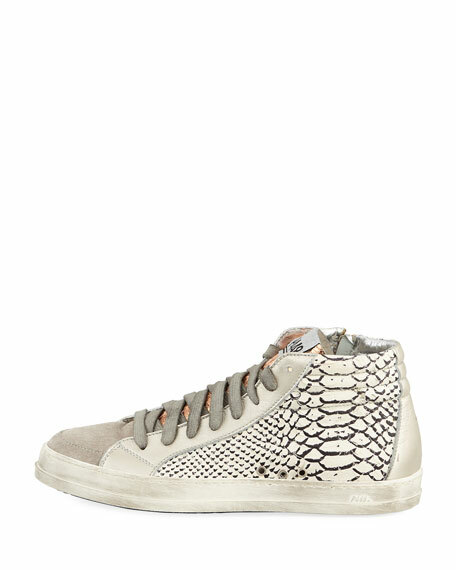 For in-store inquiries, use sku #2547400.